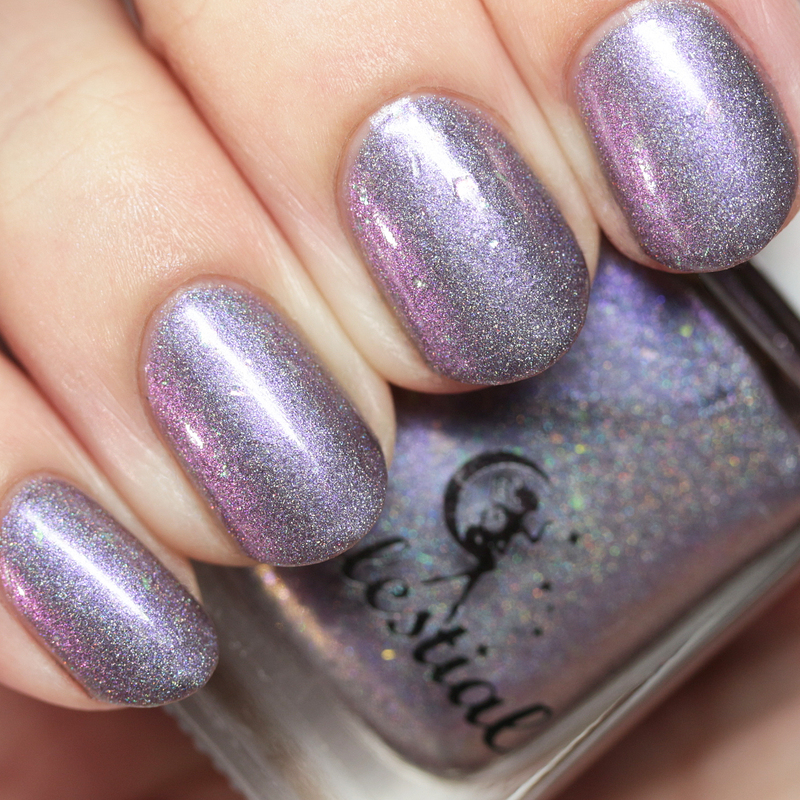 It's getting close to that special time again - when Celestial Cosmetics restocks the shop and releases new polishes! 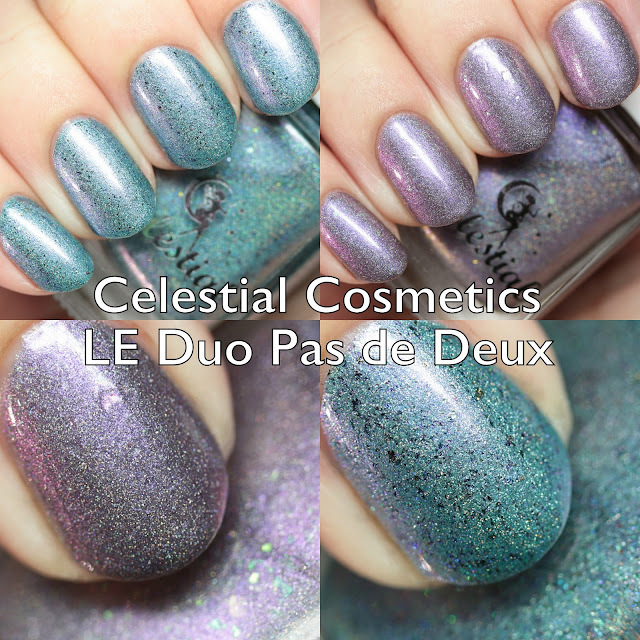 Today I have the LE Duo Pas de Deux that was launched last month, and I bought my set then, but they sold out. However, it is still in stock in the Australian store and three more sets will be added to the US/international store on March 10, 3:30 PM EDT. 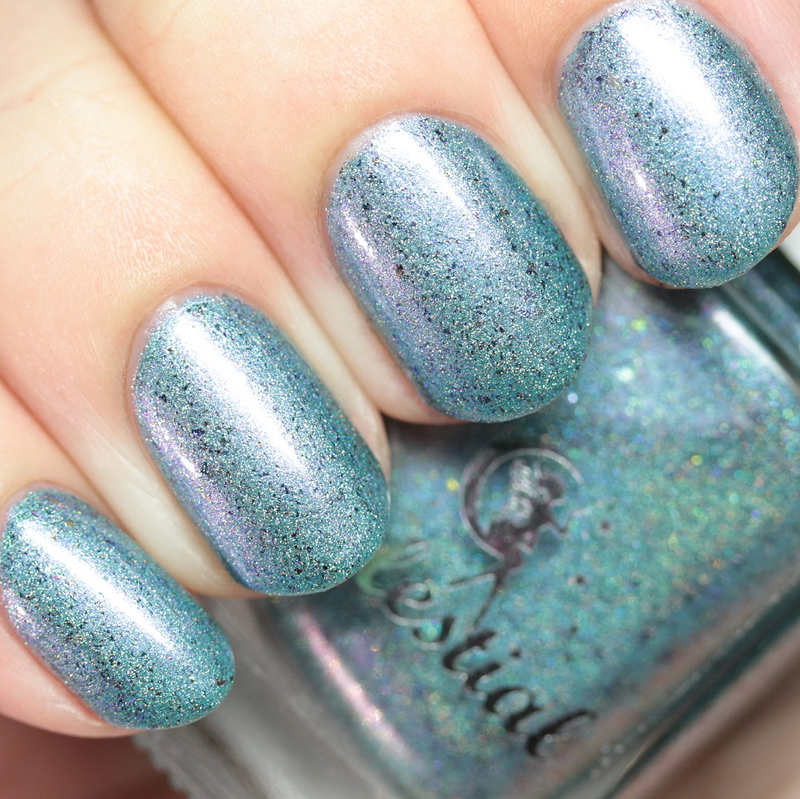 Mark your calendar if you love pastel, flakie, duochrome holos, because these are gorgeous. Giselle is a light aquamarine shimmer with scattered holo, multichrome flakes, and blue-to-magenta duochrome shimmer. I am wearing it here in three thin coats, but two will do. Great formula! 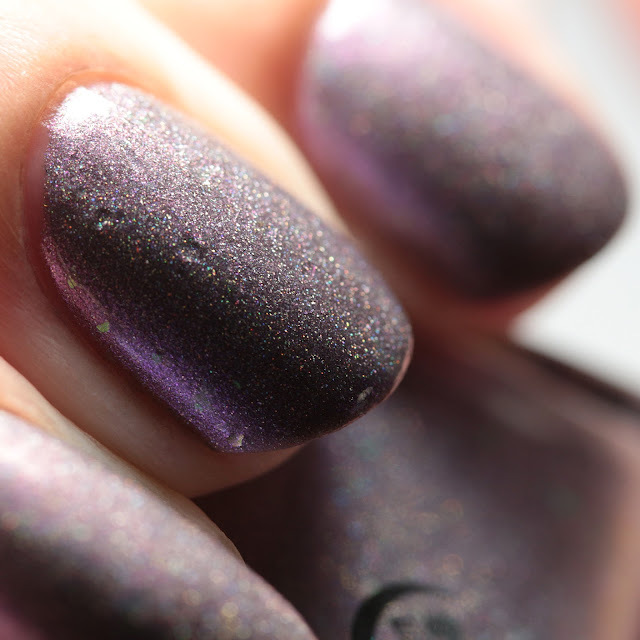 Paquita is a lavender gray with scattered holo, iridescent duochrome flakes, and lavender/magenta/gold multichrome shimmer. 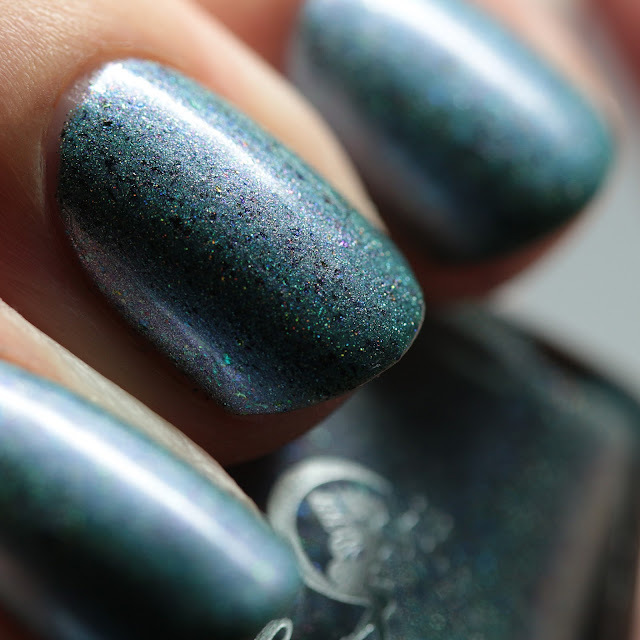 Again it is opaque in two or three thin coats. 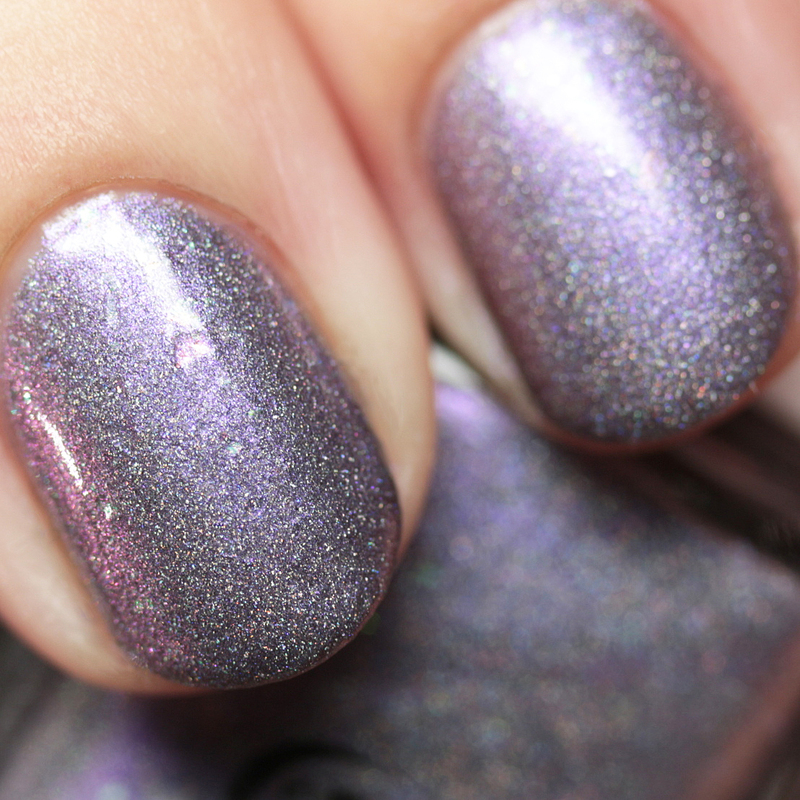 This flakes in this one have a little bit of texture but it can be smoothed with top coat. The LE Duo Pas de Deux is currently sold as a pair in the Australian shop and restocked on the US/International shop with only three more sets. Be sure to be quick on March 10, 3:30 EDT when they release!